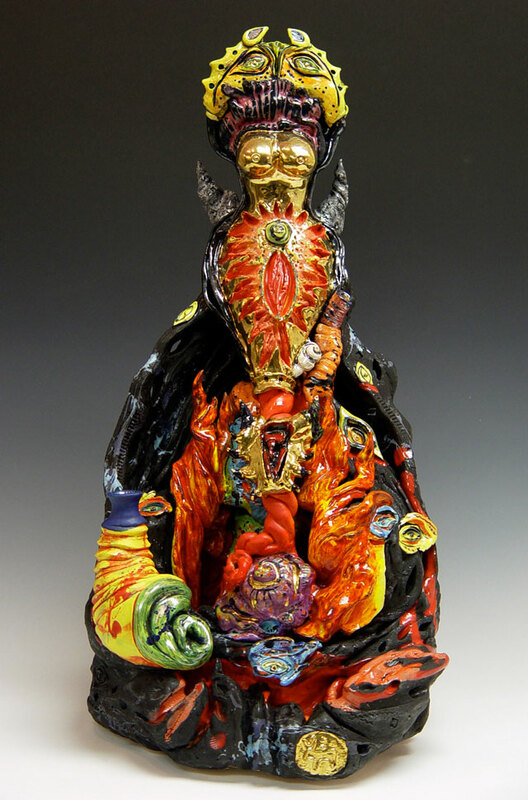 Kiln God/dess with Initiate Soul. Cone 04 stoneware P-Clay, glaze, underglaze & lusters. 23.5"H x 11.5"W x 14"D.